Organizing Geneva | What does Marie Kondo’s Netflix show really tell us? 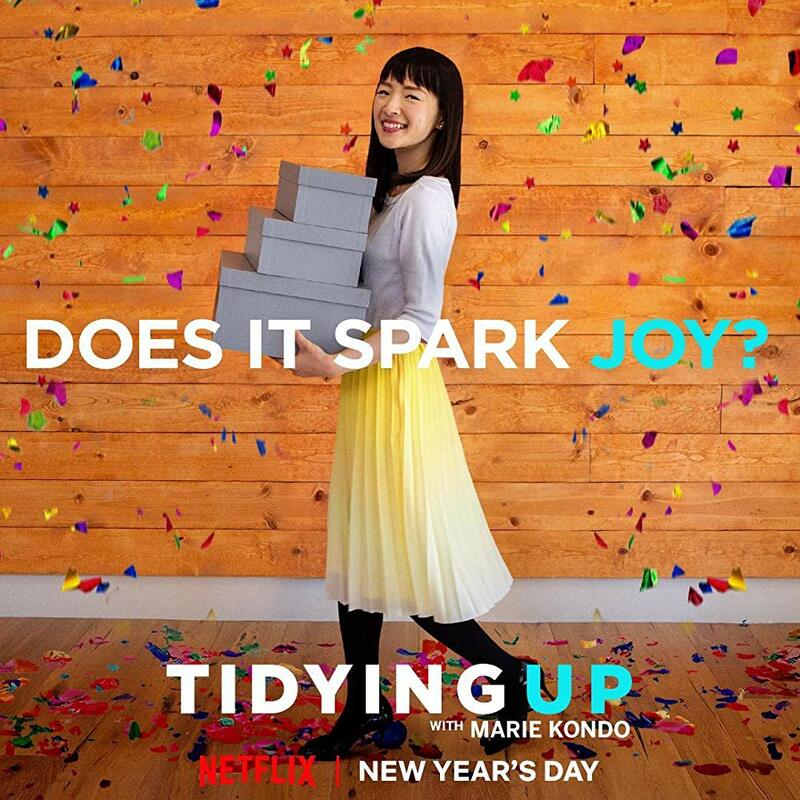 27 Feb What does Marie Kondo’s Netflix show really tell us? What a perfect moment to start my brand new blog, right after Marie Kondo’s Netflix show ‘Tidying Up with Marie Kondo’ goes on air. This little Japanese lady has not only inspired me to radically change my career and become a Professional Organizer, she also created this global movement where people all over the world share their ‘kondoed’ closet pictures on all kind of social networks. Yes, ‘kondoing’ is now used as a verb! So why is Kondo so successful even though Professional Organizers have been writing books since the 80s? What does her Netflix show really tell us? However, I believe that Kondo’s success is telling us much more than a nice marketing story. I believe that our society has reached a tipping point. Humankind is evolving faster than ever. We have embraced technology, internet, constant information flow, virtual living, online shopping, social networks. We are swamped with information 24/7, we are asked to process the incoming flow of data instantaneously, we want to show the world how great our lives and how bright our kids are, how successful we manage our jobs whilst being friends with everyone and organizing parties. We are so overwhelmed with our tasks and objectives, that we fill the void with shopping. Because sometimes, buying new clothes boosts our self-esteem and having more will probably make our lives easier. We consume, we accumulate, we follow evolution. Yet, in reality we remain humans. We long for simplicity, for the basics, for values. We would love to break out of our daily rat race, and have quality time for ourselves and for our families. If only we had time for reading or exercising? When did we last call our grand-mother? Could there be a possibility to shut down our mobile phone for just one day? Could we live with only one black sweater instead of 5? Do our kids get enough attention or do we think about our jobs while we read them a book? In the end, this is what people are dreaming of. This is what we call “well-being”…taking care of what is important to us instead of constantly running behind what the society is expecting from us. And this is exactly what Marie Kondo is touching on. She has shown the world, that there is a very simple and concrete way to achieve well-being. She is telling us that decluttering your home will also declutter what is inside of us. To make space for the important things in life. To transform our home in places of peace and inspiration that help us to breathe and achieve our goals. To remain honest with ourselves. This is why people are so interested by her shoe boxes…they symbolize the hope of a simple and happy life!